The glory days of The Simpsons, which recently began its 30th season, have been over for multiple decades. But that hasn’t stopped the show from inspiring some viral memes in recent years that wrap its mid-90s humor in the contemporary, often bizarre visual language of modern internet humor. While the most famous remains the endless iterations on the now-famous 1996 ”Steamed Hams” dinner scene, the latest Simpsons meme might be the strangest yet. It revolves around two very retro concepts: The Simpsons (back when it was good), and using the now-defunct, mid-aughts peer-to-peer filesharing service Limewire. In this spirit of many of the best memes, the Simpsons / Limewire combo is not only non-sequitur but oddly specific, focusing on the malware-inflected files that often posed as MP3s on the service, particularly those claiming to be the song “Numb” by Linkin Park. It’s a potent, nostalgic triumvirate for social media users of a certain age, a highly specific Venn diagram of the comedy, technology, and music that many of them found edgy or important at the time — only to watch them decline into mediocrity or irrelevance as they grew older and the world moved on. This specialized intersection makes it all the more potent for those who recognize all the pieces of the puzzle and say, “yes!” There’s something of a secret password element to this, a shibboleth that not only marks users of a certain age and experience but unites them. For example, if you aren’t familiar with the subject matter and comedic cadence of a sixth season episode where the Simpson family travels to Australia — as well as the frustrations of trying to illegally download music without riddling your computer with viruses in 2005 — the following image will make little to no sense. If you do, well, you’re welcome. It’s the memetic equivalent of “only [insert generation] kids will remember this!” And for those who do, there’s a very particular pleasure in feeling seen, in feeling known, in feeling for a fleeting moment that the experiences and joys of your youth have not passed forever beyond the veil of irrelevance. 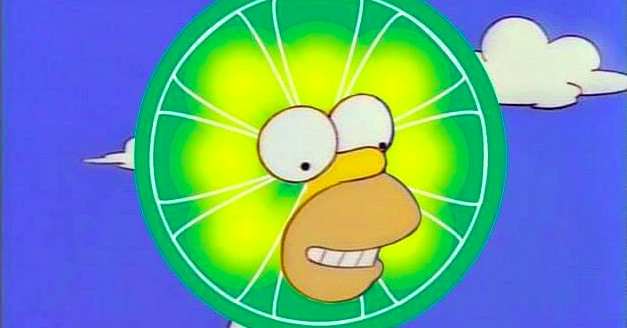 In 2018, sometimes this means photoshopping a giant lime on to the face Homer Simpson. Who are we to judge?